Sean Kelly announces the new exhibition, Disruptive Desires, featuring work by Laurent Grasso, Rebecca Horn and Ran Huang. 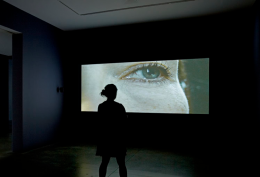 In the exhibition, each of the gallery’s three spaces is dedicated to a single artist, with film-based works that explore the notion of desire in disparate and unique ways. Gallery one features a compilation of some of Rebecca Horn’s earliest performance works, which were the first to incorporate the artist’s “body extension” sculptures—objects strapped to the figure to exaggerate the structure of the human form as it moves through space. 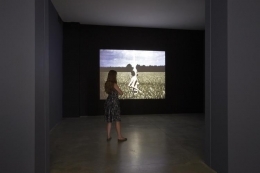 One such example is Einhorn (Unicorn), 1970, which was originally presented at Documenta in 1972; it depicts a woman walking through a field and down a tree-lined path without offering explanation of who she is or how she came to be there. 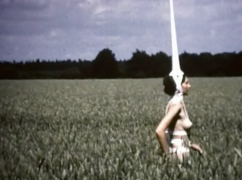 She is captured in fleeting glimpses, wearing a series of straps across her torso that hold a tall, unicorn-like white horn on top of her head. This sculptural structure can be interpreted as a reference to the unicorn as a medieval symbol of purity and operates in direct contrast to its potential phallic association. This allusion to legend and myth has been a consistent undercurrent throughout the artist’s oeuvre historically. 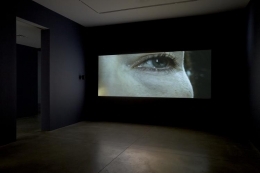 Gallery two features Laurent Grasso’s film, Satellite, 2006, a nearly 10-minute work in which the French actress Carole Bouquet is seen in the path of a light beam projected through a darkened room. The film’s point of view is that of a computer-controlled camera on an orbital path, cycling between distant views and extreme close-ups. 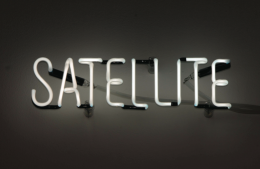 The title of the work and the persistent electronic hum of the soundtrack are references to Grasso’s ongoing fascination with science and technology and their influence on human culture. 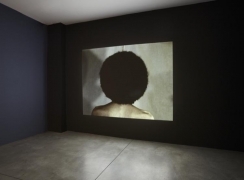 The camera’s scrutiny of the figure in the film makes her into a specimen, an object of almost scientific curiosity, as opposed to a traditional object of desire. 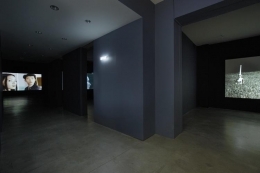 Ran Huang’s 22-minute film, Disruptive Desires, Tranquility, and the Loss of Lucidity, 2012, is in the main gallery. The film begins with two young people shyly engaged in conversation, interspersed with outdoor scenes of a forest. As the two protagonists share details of their lives, an ominous undertone becomes apparent—one that is sexually charged— suggesting that the pleasant, almost dream-like ambience of the film is misleading and that disturbing events may have taken place in the characters’ pasts. The uneasy balance between beauty and transgression creates a darkly dynamic atmosphere, demanding that the viewer reconcile the visual appeal of the imagery with a troubling latent motif. 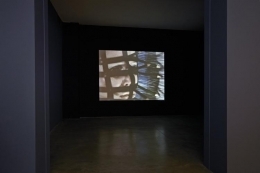 Though the works on view vary in execution and are separated by several decades, these films possess a shared thematic concern: the disruption of the conventional interpretation of the language of desire, offering in its place an interpretation that is considerably more layered, ambivalent and complex. 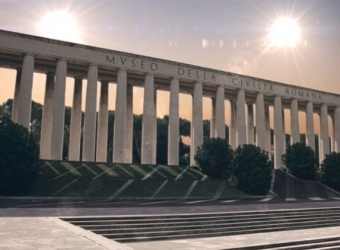 Laurent Grasso (1972) lives and works in Paris and New York. 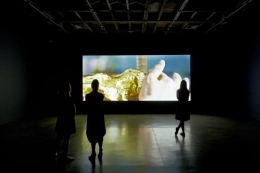 Grasso’s work has been exhibited extensively worldwide, notably in solo exhibitions at the Hirshhorn Museum and Sculpture Garden, Washington DC; Kunstverein Arnsberg, Germany; Centre Georges Pompidou, Paris, France; Palais de Tokyo, Paris, France; Saint Louis Art Museum, Missouri; and the Samsung Museum of Art, Seoul, Korea. 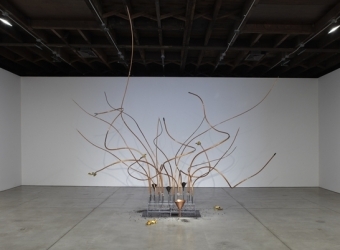 Grasso’s work has also been included in many international biennales including Manifesta 8, Cartagena / Murcia, Spain; Sharjah, United Arab Emirates; Moscow, Russia; and Busan, Korea. Grasso was awarded the prestigious Marcel Duchamp Prize in 2008 and is the subject of a major monograph – Laurent Grasso: The Black-Body Radiation – published by les presses du réel. 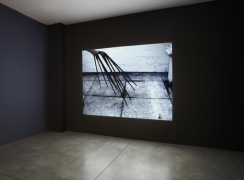 Grasso’s major solo exhibition, Uraniborg, is currently on view at the Musée du Jeu de Paume, Paris, France. 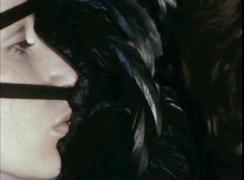 Rebecca Horn (1944) lives and works in Germany. Horn was the subject of a mid-career retrospective at The Solomon R. Guggenheim Museum in New York, and her work is featured in major public collections worldwide including The Solomon R. Guggenheim Museum, New York; Museum of Modern Art, New York; Museum of Contemporary Art, Los Angeles; Castello di Rivoli Museum of Contemporary Art, Turin, Italy; Tate Gallery, London, Great Britain; San Francisco Museum of Modern Art, San Francisco; Musée National d’Art Moderne, Centre Georges Pompidou, Paris, France; Stedelijk Museum, Amsterdam, the Netherlands; and Van AbbeMuseum, Eindhoven, the Netherlands. She has participated in Documenta and the Venice Biennale on numerous occasions and was recently awarded Japan’s prestigious 2010 Praemium Imperiale Prize in Sculpture and the Grande Médaille des Arts Plastiques 2011 from the Académie d’Architecture de Paris. Ran Huang (1982) lives and works in Beijing and London. 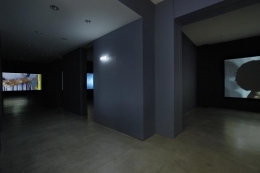 Huang’s work has been included in exhibitions worldwide, including solo exhibitions at VIVID, Birmingham, United Kingdom; Prussian Projekte, Nottingham, United Kingdom; and Space Station, Beijing, China. 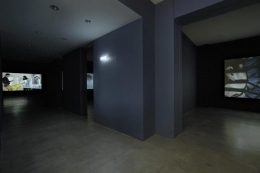 Huang has participated in numerous group exhibitions and biennials including MOVE at Werkleitz in Halle, Germany; Où va la vidéo 00.00.02 at Fondazione March in Padova, Italy; and the 7th Mercosur Biennial, Brazil. 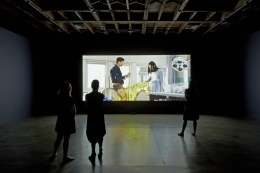 Huang was one of the 16 artists presented by European Media Artists in the Residency Exchange (EMARE) 2009 program supported by the European Culture Programme and the Arts Council England.